Enhanced Mascot Features Delight Fans! When designing a custom mascot costume, many factors come into play: colours, fabrics, facial expressions, size, clothing, comfort, and more. If you're looking for a company that will help you conceptualize your finished mascot and discuss enhanced features, such as, sound, moving parts, and lighting, or special props, then you want to talk with BAM. 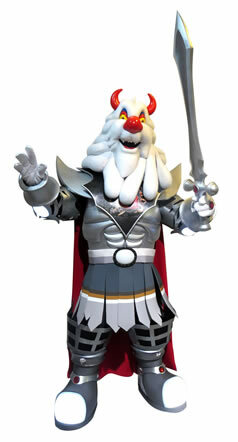 The BAM mascot designers create exceptional costumes and love the challenge of adding new and unique enhanced features. Picture Right: Bokar Bok, designed for Les Créations R.G. Hemm Inc. Mascots always draw a crowd, but you can up the Wow factor with incorporating a special feature in your mascot's costume or even clothing that adds more magic. Imagine a necklace or hat that lights up and changes colour. 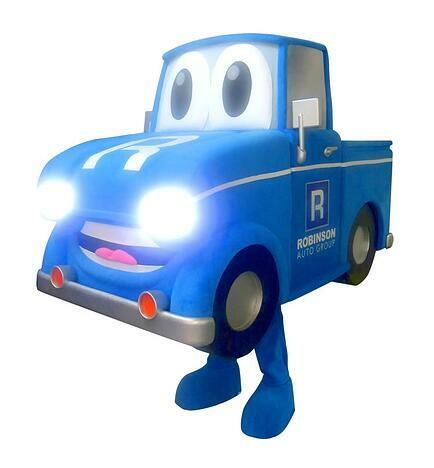 Robinson Auto Group wanted a truck mascot that was fabulous, innovative, and fun to interact with. 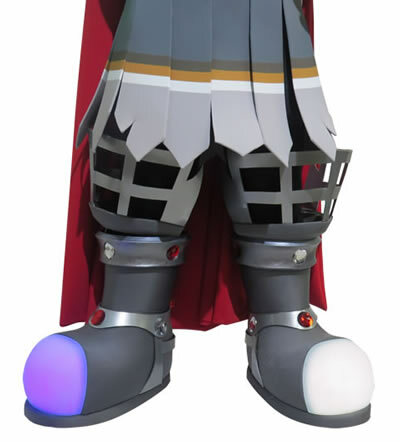 We designed the costume with headlights that light up and a horn that sounds. Although most mascots perform as silent characters, it is possible to add sound or allow the performer to use their voice effectively. We can add a voice-activated microphone inside the mascot costume that will project the performer’s voice to a large audience. BAM designers can also create a hinged mouth that moves with the performer's jaw movements. Interested in seeing what your mascot performer sees during an event? A digital camera can be secured inside the costume to record the audience reaction. In addition, the camera technology can be used to 'see' through the costumer using an internal viewing monitor. Our designers are exceptional technicians, coming up with creative ideas and solutions to whatever enhanced feature you can imagine. When thinking about how your mascot will interact and perform at different events, consider props or accessories that your mascot could use. A Trojan might need a shield or a sword, a maintenance man a tool belt and tools, a mascot performing for children could carry a backpack stuffed with give-aways. We create props that fit perfectly with your mascot’s design by using similar fabrics and colours, so the props enhance the costume and fit seemlessly with the illusion you are creating. Soft props are safe for performing near children and in situations where your mascot will be up close to the audience. If your mascot is attending a special event, they might need a few extra props or costume accessories. 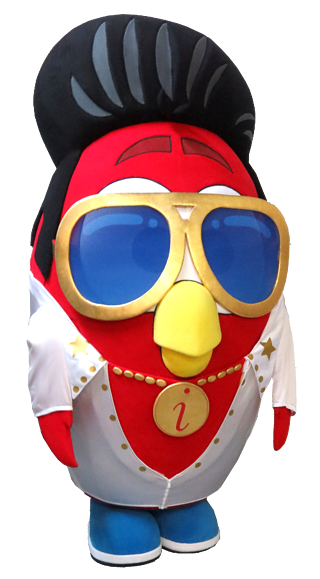 BAM created an Elvis costume for ICIMS's mascot to wear to a tradeshow in Las Vegas!